Tour guide: $15 per person plus entrance fee, in groups.Trails are open from 7:00 am until 4:00 pm everyday. Daytime tours leave from the Information Office at 7:30 am and 11:30 am everyday. Tours generally last between 2 1/2 and 3 hours. 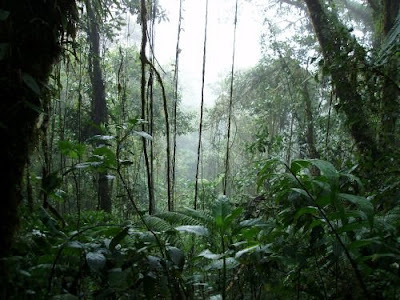 Located high on the Caribbean slopes of the Cordillera de Tilarán (5, 000 feet, 1,500 m), the Continental Divide of Costa Rica, the Santa Elena Cloud Forest Reserve is one of the first community managed reserves in the country. With the help of Youth Challenge International, a Canadian Non-profit Organization, the Costa Rican government, and the Santa Elena Community, the Reserve officially opened in March 1992. The philosophy of the Reserve is unique in that long term sustainability is not only a concern of the Reserve, but of the community as a whole. Proceeds from entrance fees, guided tours and the souvenir shop are either reinvested in the management of the reserve or are channeled to a local high school to help upgrade technology, and fund courses in environmental education, biology, agriculture, languages and tourism. In using the Reserve as a natural classroom, students and teachers harness an unlimited educational resource that can be used for anything from studying tropical plant ecology to leading tours. 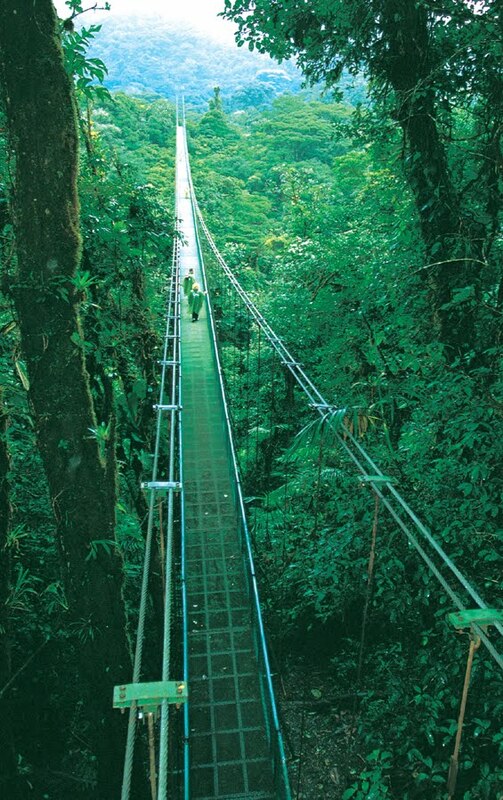 With over 8 miles (12 km) of trails, 3 overview points, and an observation tower, The Santa Elena Cloud Forest Reserve makes for an exceptional hiking experience. Since wildlife is more active in the morning, it's best to arrive early. We also have a cafe that serves light meals, a visitor center with interpretive exhibits made by students, and a gift shop. Guided tours are available (see below) and rubber boots, ponchos. 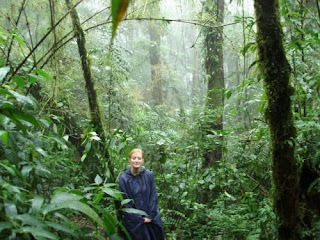 The Santa Elena Reserve comprises an area of 310 hectare or 765 acres, and together with the Children's Eternal Rainforest, the Arenal Conservation Area and the Monteverde Cloud Forest Preserve constitute a contiguous conservation area of approximately 28,000 hectares or 69,000 acres. Plans are underway to raise funds to buy and restore adjacent farmlands for future inclusion into the Santa Elena Reserve. Conservation efforts in the area are concentrating on establishing forest corridors radiating from the central conservation area down to lower altitudes as many of the forest fauna, such as the Resplendent Quetzal, American Pumas, Jaguars, Ocelots, and Red Brocket Deer require large territories in which to forage and breed.